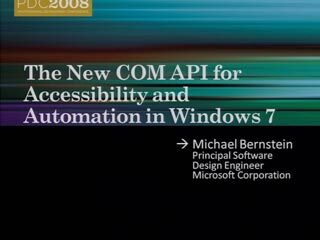 This session dives into new APIs that enable integration with the latest Windows desktop features. Learn about new extensibility methods to surface your application's key tasks. 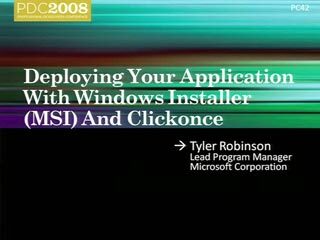 Discover how enhancements to the taskbar, Start Menu, thumbnails and their desktop elements provide new ways for you to delight your users. 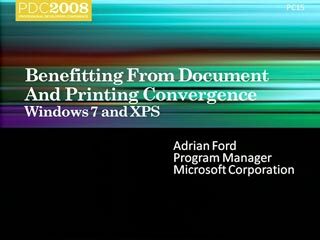 This talk is a must for application developers who wan to provide the best user experience for their applications on Windows 7. 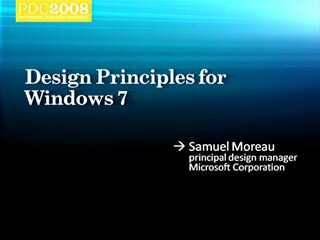 Rob Jarrett is a Sr. Software Design Engineer on the Core User Experience team, and is a key contributor to the architecture, interaction, visuals, and animation of the Windows 7 taskbar. 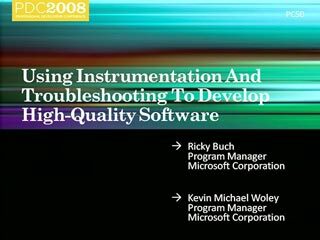 Rob joined Microsoft in 2000, spending nearly 6 years on the Tablet PC team. 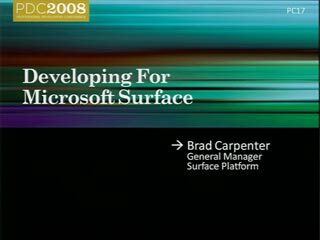 During that time, he worked on digital inking and pen/touch interaction in many forms, and co-authored the book "Building Tablet PC Applications". 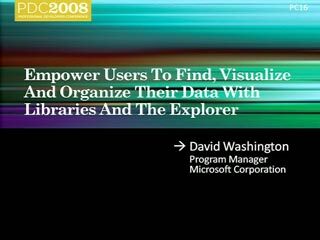 In 2006, he joined the Windows Shell team to explore and enhance window management, primarily focusing on the taskbar. Prior to Microsoft, Rob was a software developer in Toronto, Canada for 8 years. According to reports sent to TG Daily, the Milestone 1 build of Windows 7 adds support for systems using multiple heterogeneous graphics cards from different vendors and a new version of Windows Media Center. New features in Milestone 1 also reportedly include Gadgets being integrated into Windows Explorer, a Gadget for Windows Media Center, the ability to visually pin and unpin items from the Start Menu and Recycle Bin, improved media features, the XPS Essentials Pack being integrated, and a multiline Calculator featuring Programmer and Statistics modes along with unit conversion. Reports indicate that a feedback tool included in Milestone 1 lists some coming features: the ability to store Internet Explorer settings on a Windows Live account, updated versions of Paint and WordPad, and a 10-minute install process. In addition, improved network connection tools might be included. Many new items have been added to control panel including: Accelerators, ClearType Text Tuner, Display Color Calibration Wizard, Gadgets, Infrared, Recovery, Troubleshooting, Workspaces Center, Location and Other Sensors, Credential Manager , Biometric Devices, System Icons, Windows Solution Center, and Display. In build 6780, the Windows Security Center has been renamed the Windows Solution Center (Windows Health Center in earlier builds) which encompass both Security and Maintenance of the computer. 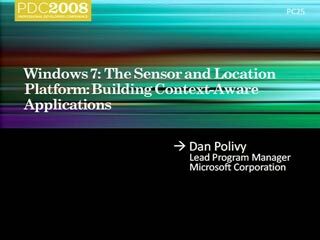 In the demonstration of Windows 7 at D6, the operating system featured multi-touch, including a virtual piano program, a mapping and directions program and a touch-aware version of Paint. 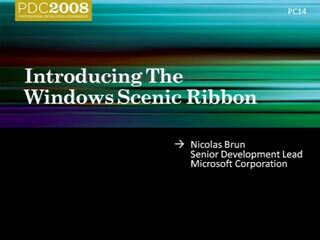 According to released PDC 2008 (taking place in October 27-30, 2008) session information, Windows 7 discussions will cover "enhancements to the taskbar, Start Menu, thumbnails and their desktop elements", a new networking API with support for building SOAP based web services in native code (as opposed to .NET based WCF web services) , new features to shorten application install times, reduced UAC prompts, simplified development of installation packages, and improved globalization support through a new Extended Linguistic Services API . The Windows Taskbar, which has retained essentially the same functionality since Windows 95, has been given an overhaul and will include numerous tweaks, features and functionality improvements such as extending the taskbar over multiple monitors and a particular focus on improving the system tray. 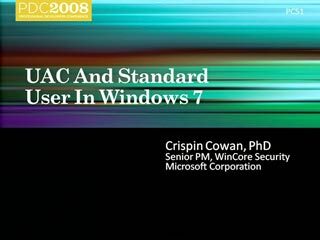 Hilton Locke, who worked on the Tablet PC team at Microsoft, reported on December 11, 2007 that Windows 7 will have new touch features. An overview of the touch capabilities was demonstrated at the All Things Digital Conference on May 27, 2008. A video demonstrating the multi-touch capabilities was later made available on the web on the same day. 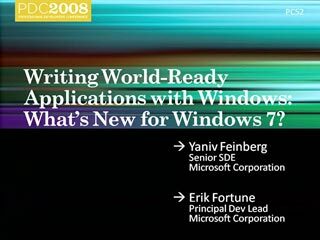 Also, Bill Gates has said that Windows 7 is also "a big step forward" for speech technology and handwriting recognition.